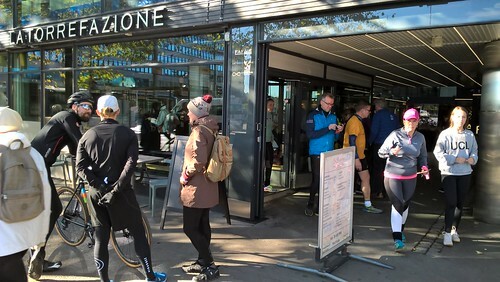 When I heard there was a new parkrun in Helsinki beginning the week before I was due to be there for work, I did what any obsessive parkrun tourist would do: I changed my plans and stayed for an extra night! Needless to say, I was excited about this one. 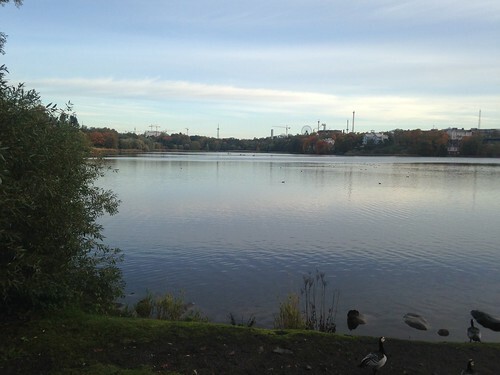 It was a fine, dry and a surpringly mild morning for a venue this far North and in October. We had a healthy turnout - week 2 is always going to take a dip after the inaugural event. However, you wouldn't have known this was only event #2 for Tokoinranta. 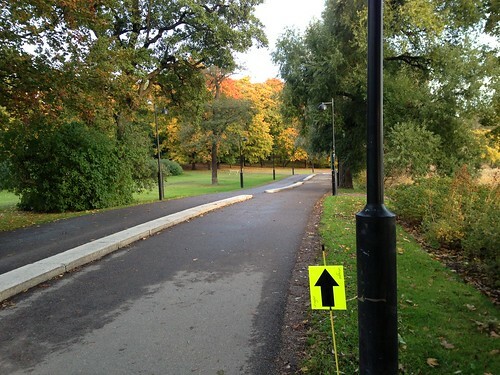 Everything is very well organised; a very clearly marked-out course complete with lead bike, amazingly friendly and plentiful volunteers and an all-round seamlessly executed event. I'm sure many Fins take this for granted but us Brits are enormously impressed by Robson delivering the pre-run talk in no fewer than 3 languages (I didn't realise Swedish is so ubiquitous here). The course itself is splendid. 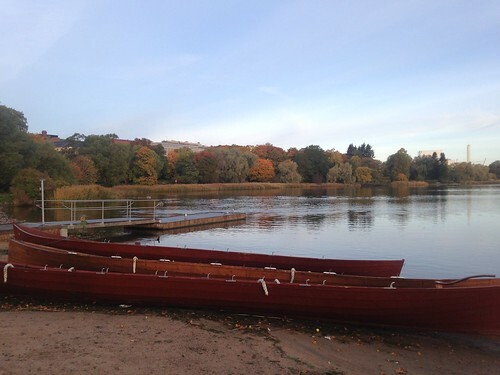 You meander around a placid stretch of water with views across to characterful painted-timber buildings and a distant fairground, past the Opera House and back over a railway bridge (with a slightly testing incline). Everyone is warmly welcomed back at the end of the 5k. 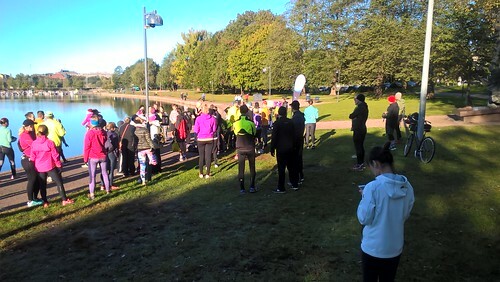 47 participants; 10 volunteers; 11 PBs, 30 First Timers, runners travelling from Australia, South Africa, the UK and (perhaps we shouldn't get too excited this early on) but we also had both male and female course records today. 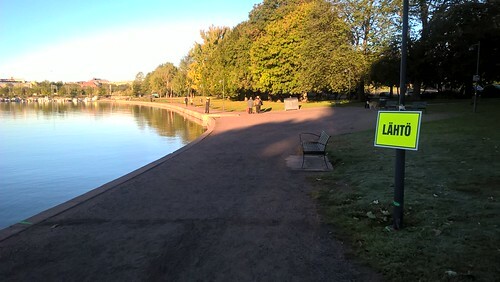 The first ever Tokoinranta parkrun started on Saturday the 29th of September. We couldn't have hoped for better weather, with clear blue skies and crisp morning temperatures of just below freezing, it was the perfect day to kick off. After marking a few places on the course, where cyclists and pedestrians cross, the volunteer briefing was given and the marshals set off to take their places. Around 09:00 to 09:20 a steady stream of people kept showing up. In the end, we had 78 registered runners show up and once the Run Directors briefing was given, it was time to send the runners off. The runners followed the lead cyclist around the out an back course, the fastest runner crossed the finish line in under 18 minutes. Some used the entire hour, which was what we hoped for that all types of runners showed up. We even had a few runners with dogs show up even an entire family that ran together. 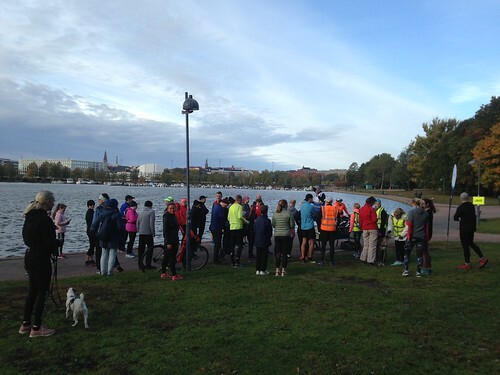 We'd like to thank the Tampere parkrun people for their massive support. 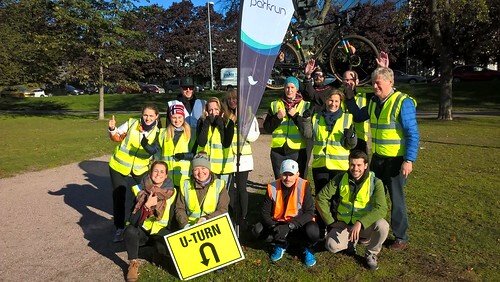 Also the parkrun Nordics for their support. Now we will make small changes in order to improve next weeks parkrun! We hope to see you there and at La Torrefazione Hakaniemi, which got excellent grades from our runners! 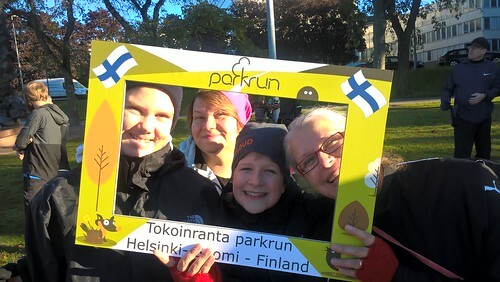 Welcome to parkrun Finland. This is your first post. Edit or delete it, then start blogging!